Texas Chainsaw Massacre: The Next Generation is widely regarded as the worst film in the series, and it's not really that hard to see why. Sure, the movie might have some A-list actors in it in the form of young Renée Zellweger and Matthew McConaughey, but star power doesn't always relate to quality. 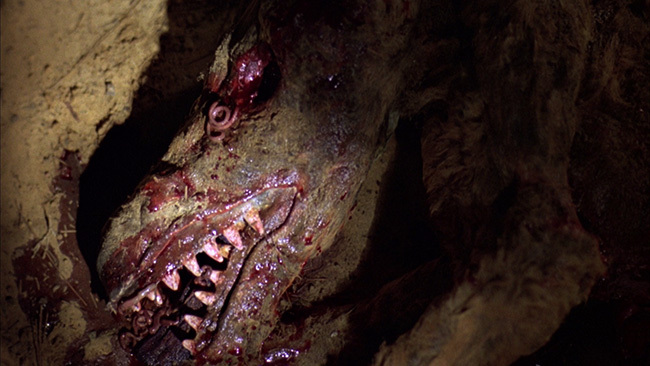 Written and directed by Kim Henkel, the man who created the story and co-wrote the screenplay for the original film with director Tobe Hooper, it is a mess of a film. But it's a fascinating mess with some interesting ideas and a few moments that actually impress. While there are logic gaps aplenty and plenty of questionable choices on display, if nothing else the film is never boring. The film is set in 1996 and it follows a group of high school students at their prom. Our lead is Jenny (Zellweger), a nerdy girl who comes from an abusive home, who has arrived with boyfriend Sean (John Harrison). When her friend Heather (Lisa Marie Newmyer) finds out that her boyfriend Barry (Tyler Shea Cone) has been messing around with another girl, she hops into Barry's car and takes off. This leaves Jenny and the others to give chase which soon turns into a car accident leaving the driver in the other car unconscious. Jenny, Heather and Barry decide to try and find help while Sean stays with the injured man. Luck would seem to be on their side when they soon come across an insurance office run by a woman named Darla (Tonie Perensky). She obliges their request for help and calls her husband Vilmer (Matthew McConaughey), a strange man with a robotic leg, to assist. He shows up in his pickup at the scene of the accident, kills the other driver and then tries to kill Sean who wisely makes a break for it. Before you know it, Heather and Barry have wandered off alone and found a house full of crazed cannibals, a transvestite in a human skin mask called Leatherface (Robert Jacks) and his brother W.E. Sawyer (Joe Stevens). 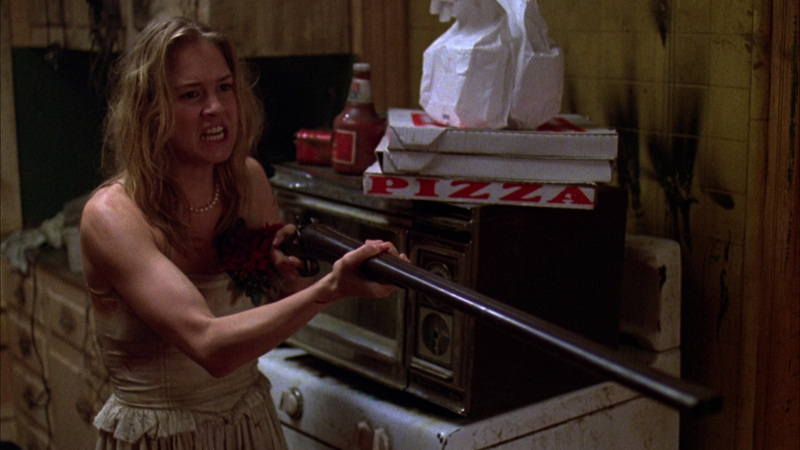 Jenny, running around alone at this point, runs into Leatherface and, eventually, is brought back to the house herself where she kinda-sorta learns the true history of the family, who couldn't be happier to have her for dinner. 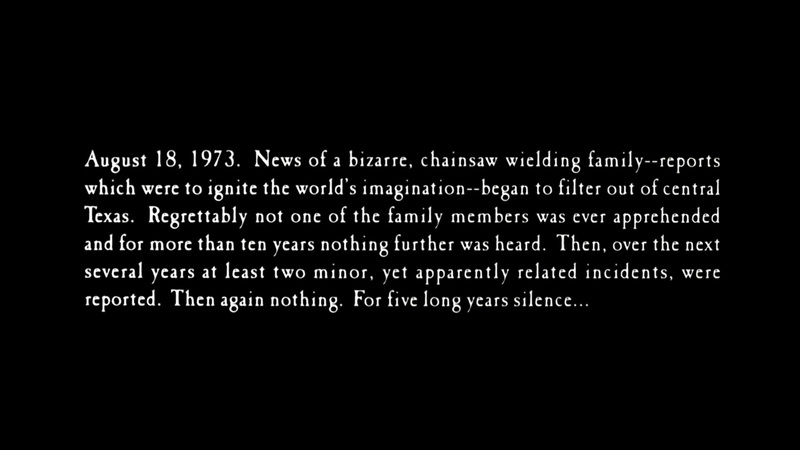 Demented is the word that comes to mind when trying to figure out how to describe this absolutely bonkers film. There are subplots here about the Illuminati and a rogue politician that go nowhere, there's some absolutely amazing scenery chewing from Matthew McConaughey and a seemingly endless amount of screaming in the last half of the film. It's paced quite well but the whole thing is just completely off the wall… sometimes in a good way, sometimes in a bad way. Credit to McConaughey for giving his all, even if he does come across as coked up for much of the film. It's definitely a different style of acting and he's an absolute kick to watch here. 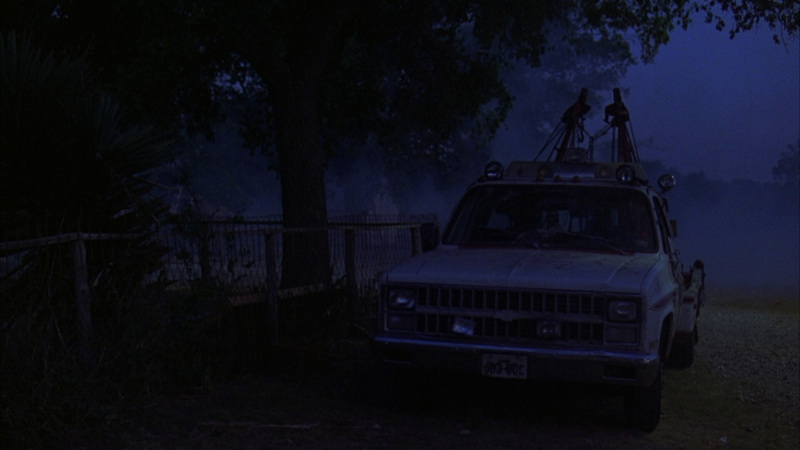 If the movie isn't ever really frightening, he keeps the intensity dialed up to 11 for much of the picture. 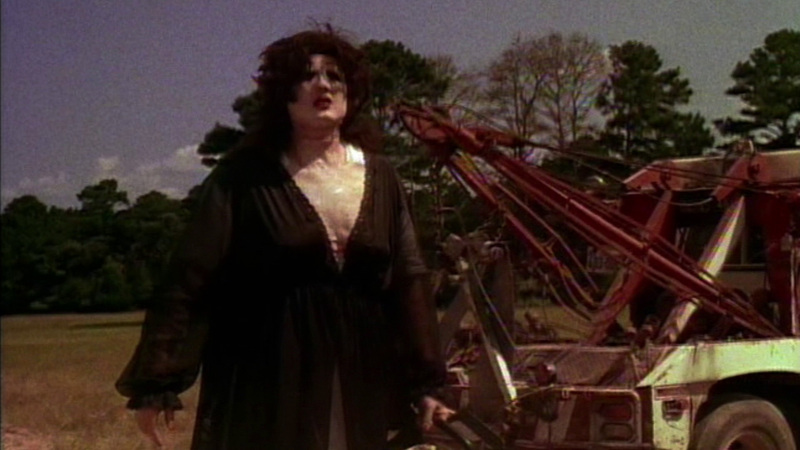 This helps to compensate for the strange choice to make Leatherface a full-on transvestite in this movie. It's played up in strange ways in the film but never really or truly explained. Just accept it and move on. As to Zellweger? Well, she screams a lot and screams well, so the movie has that going for it. This isn't her best work but to be fair she is well-cast as the somewhat bookish, nerdy girl. She looks the part and plays it well. We don't dislike her in the role. Supporting work from the other ‘teen' characters is reasonably forgettable but Tonie Perensky and Joe Stevens are a lot of fun to watch here as well. 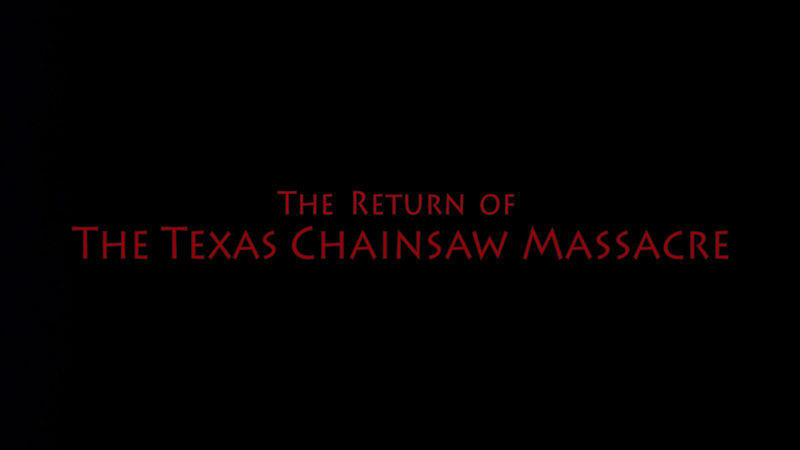 The theatrical cut of Texas Chainsaw Massacre: The Next Generation is presented on a 50GB disc in AVC encoded 1080p high definition framed at 1.85.1 widescreen. The transfer is uneven, but generally speaking it looks pretty nice. Colors are well-defined and skin tones look fine. There's a little bit of crus in a few of the darker spots but black levels are generally satisfactory. Detail can look really sharp, especially in the close-up shots, but there are moments where and there were clarity takes a noticeable slide. To be fair, it appears that this has everything to do with the elements used and not the transfer itself, but some people will notice it. Still, the good most certainly outweighs the bad here. The image is quite clean, showing a natural amount of film grain but little actual print damage. There's a reasonable amount of depth here and decent texture too. There are no noticeable issues with compression artifacts, edge enhancement or noise reduction related issues. If this isn't a reference quality image it is most certainly a noticeable step-up from what has come before for this title. There's only one audio option for the feature and that's an English language DTS-HD 2.0 Stereo track. Optional subtitles are provided in English. There's a whole lot of screaming in this movie and it comes through loud and clear in this lossless track. It's properly balanced and free of any hiss or distortion. 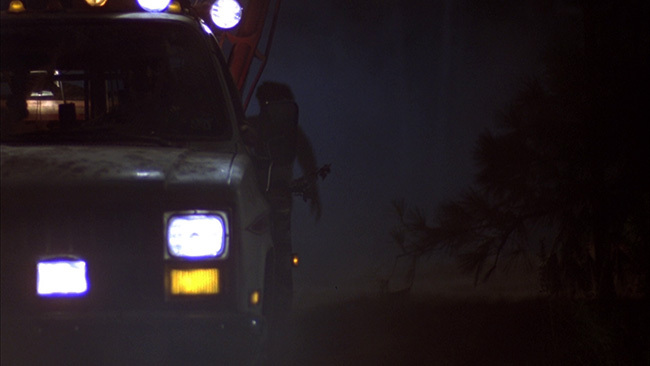 There's some good left to right channel separation in a few scenes, while the buzz and motor sounds of the chainsaw have some nice rumble when used in the film. The main extra on the disc is the inclusion of the director's cut of the film, previously only available on DVD via an older Lionsgate release that came out in Canada some years back. What's the difference between the two cuts? 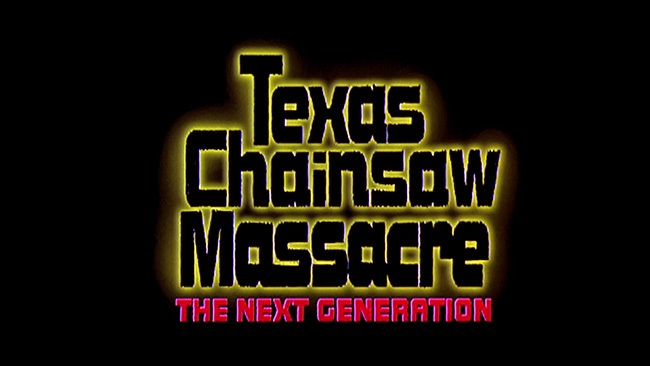 Well, aside from the fact that this version uses The Return of the Texas Chainsaw Massacre as its title, this version also includes a subplot involving Jenny and her abusive stepfather, it features some extended dialogue between Barry and Heather when they are in the car together, the two-truck scene is edited differently, the conversation between Jenny and Darla in the bathroom is longer and there are other minor extensions throughout the movie. This version also features different music and sound effects. Does any of this make it a better movie? Nope! But it's great to have this alternate version included here. The packaging for this release states that the film is in standard definition but it is actually in HD with standard definition inserts. It doesn't look amazing, the theatrical cut fares far better, but it's watchable enough. 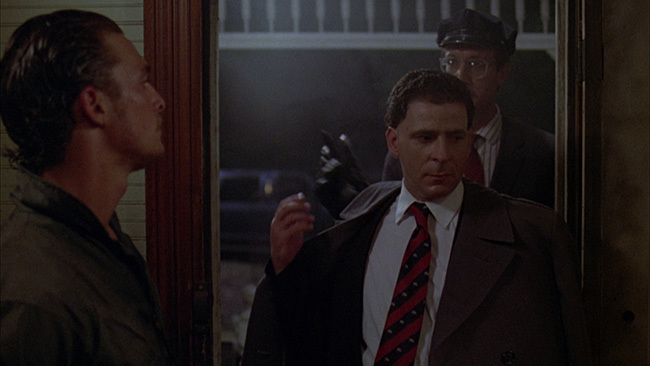 Director Kin Henkel joins Joe Stevens, Brian Huberman and moderator by Phil Nobile Jr. to provide a commentary track (it's not mentioned on the packaging, but it's there) over the director's cut that is worth listening to. Henkel leads the charge here, talking quite bluntly about working with both Renée Zellweger and Matthew McConaughey on the picture, noting what they were like to work with and telling some interesting stories about dealing with them. He also addresses some of the structural issues with the film's narrative structure, talks about the distribution of the movie, how the character of Leatherface is portrayed in the film, working with different cast and crew members on the shoot and quite a bit more. Shout! 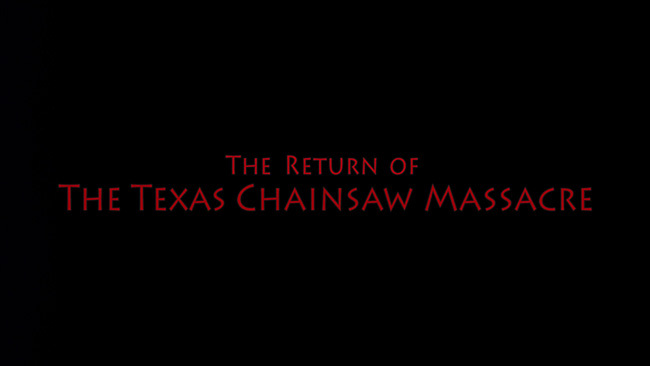 Factory has also conjured up a few featurettes, starting with The Buzz Is Back, a twelve-minute interview with director of photography Levie Isaacks that details his involvement in the original Texas Chain Saw Massacre, his relationship with Tobe Hooper, his work on the HBO Tales From The Crypt series and then, finally, his work on this picture. He's got some interesting stories here. Marked For Death is a sixteen-minute piece that interviews actor Tyler Shea Cone in which he talks about landing the part, working alongside his co-stars, what it was like on set and more. If Looks Could Kill is a nineteen-minute interview with special makeup effects artist J.M. Logan and production designer Deborah Pastor. This is the best of the three pieces as these two do not sugarcoat their experiences on the film or the final product that they had a hand in creating. It's as amusing as it is informative. Maybe not so surprisingly Renée Zellweger and Matthew McConaughey are not involved in any of the extra features. Given that their likenesses were included on the initial artwork that Shout! Factory used to promote this release and then removed before cover art was finalized, that shouldn't shock us but it does come as a bit of a disappointment. Still, you can't make people talk if they don't want to and it's a pretty safe bet that they didn't want to (though they have in the past). A trailer for the feature, menus and chapter selection round out the extras on the disc. As to the packaging, Shout! Factory has included some nice reversible cover art for this release as well as a collectible slipcover limited to the first pressing of the disc. Texas Chainsaw Massacre: The Next Generation isn't particularly good but it is crazy enough that it's worth checking out. Purists may take issue with the direction that the franchise went in with this fourth entry, but you've got to admire the fact that Henkel was able to even get a movie this insane made in the first place. 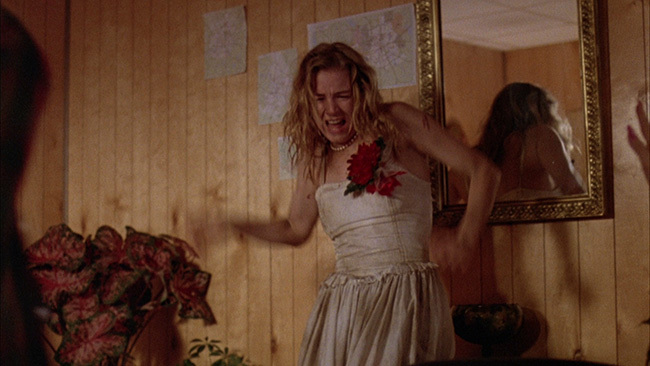 Seeing Renée Zellweger and Matthew McConaughey adds another layer of weirdness to the film. Shout! Factory has offered up a solid Blu-ray presentation for the theatrical cut and included the director's cut with accompanying commentary and a few other extras on top of that, making for a good release overall. Despite some imperfections, this is still worthwhile for fans and comes recommended. 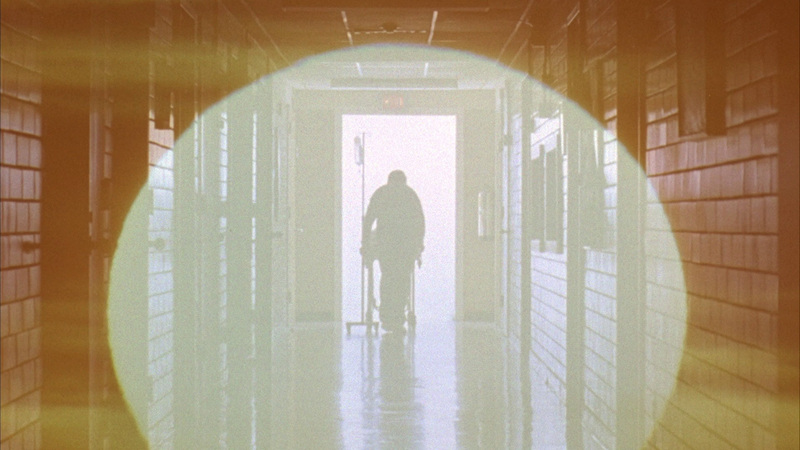 Click on the images below for full sized Texas Chainsaw Massacre: The Next Generation Blu-ray screen caps! I remember watching the Japanese laserdisc of this years ago, and it was just a big bucket of WTF.